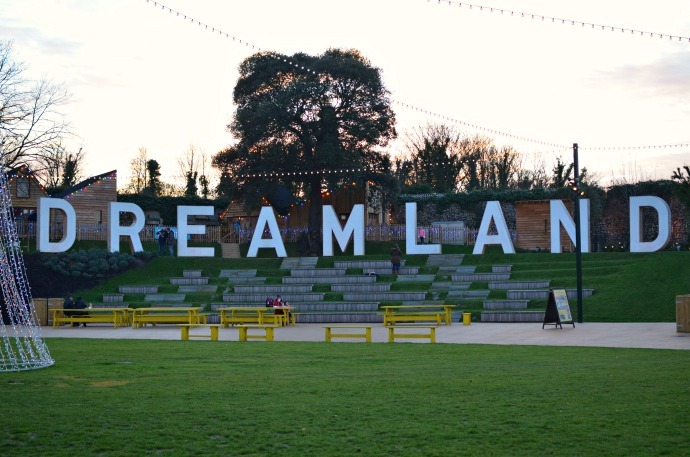 Situated on the Kent coast, Dreamland is a vintage family theme park full of colour, personality and charm. 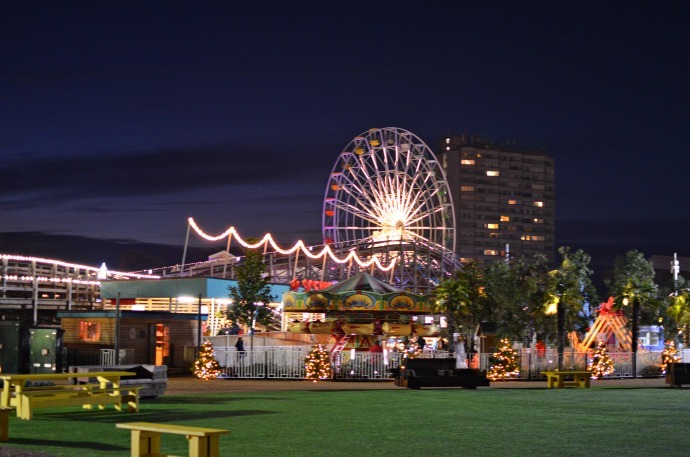 Over the coming month they have transformed the Margate park into a festive fairground complete with Santa's Grotto and an ice skating rink and the boys and I (plus my sister) spent last Saturday there for the opening day. Archie and Dylan are four and six and were a great age to enjoy the park. I found it was definitely aimed at four years and above (or for children over a metre) and there was plenty that they could both go on but quite a few that Archie at 105cm was too small for as well. 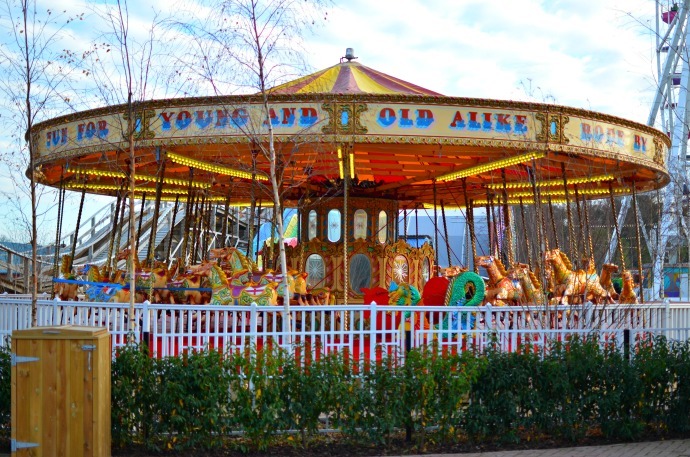 The park has a selection of rides from the iconic Scenic Railway which is the oldest wooden rollercoaster, to the traditional dodgems and carousel. Entry to the park is free and a wristband gives you unlimited access to all the rides or you can buy seperate tokens if you wish to only ride on a couple. 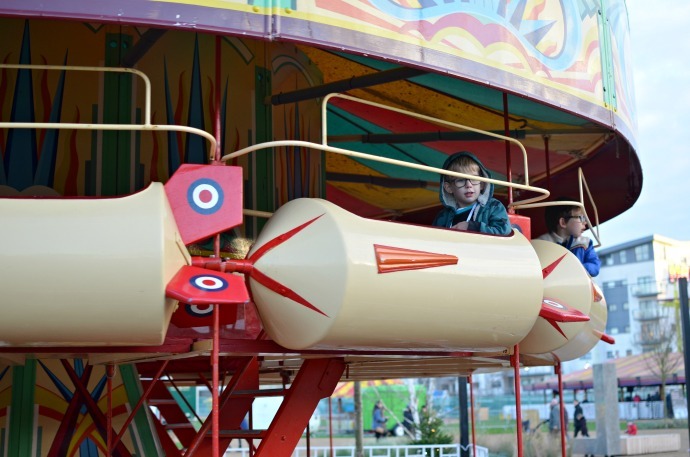 The children's beehive rollercoaster was a definite favourite for both boys. We spent about 5 hours at Dreamland and that was the perfect amount of time. We spent time on the rides as well as enjoying all the open spaces and bright walls. 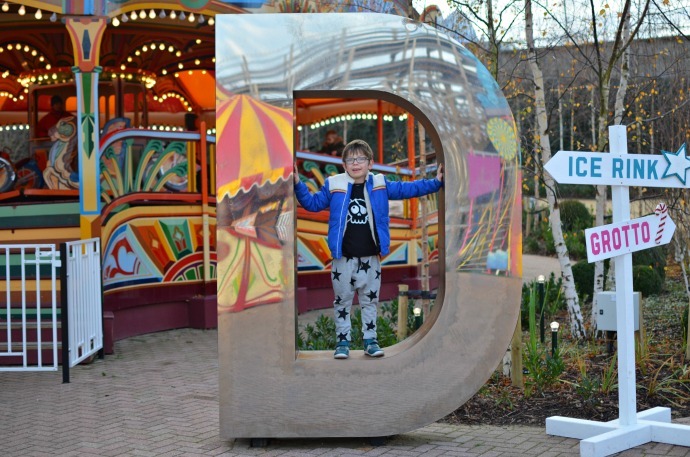 Dotted around the park are giant letters that spell out Dreamland and we loved spotting them and climbing on them too. 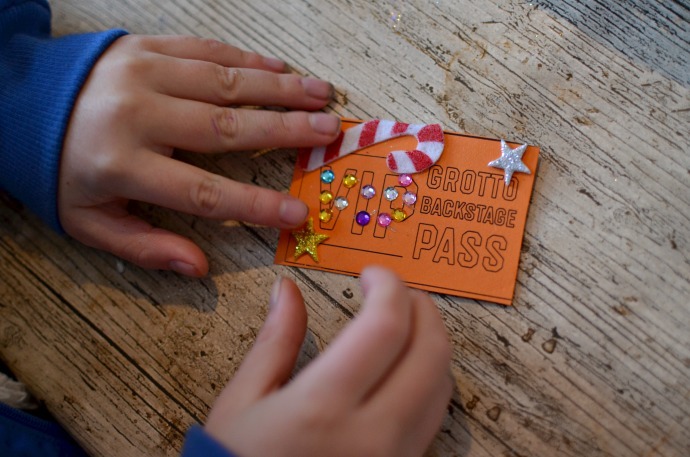 As part of our visit we couldn't resist booking tickets to see Father Christmas. 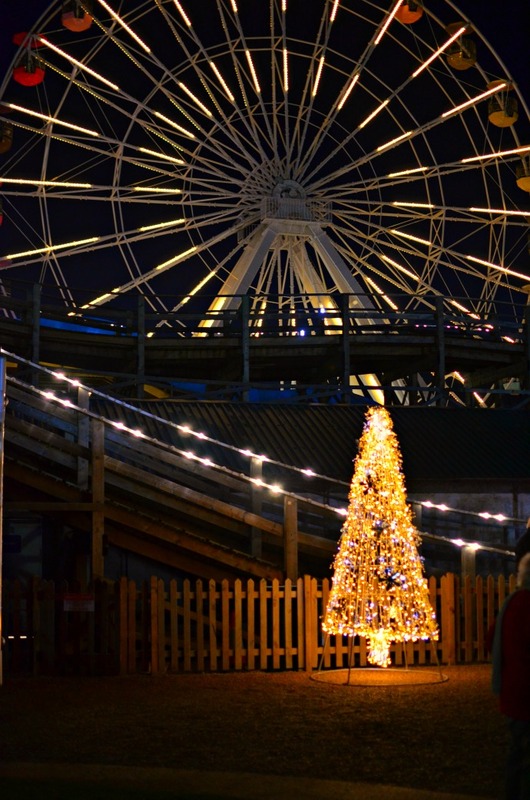 You have to book ahead on the Dreamland website and you are given a 30 minute slot for your 'Santa experience'. 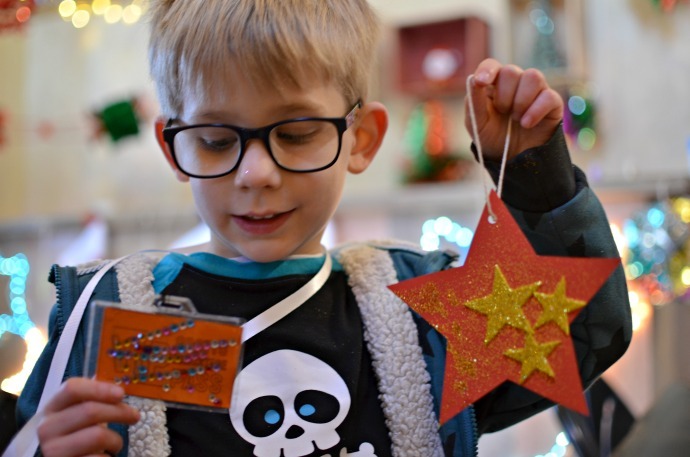 It is more than your traditional grotto, with two simple craft activities as you prepare to see the big man. The boys loved creating their VIP passes and they are still playing with them days later. Santa's special Elvis inspired elf stole the show and we were surprised to see a rocking and grooving Santa. 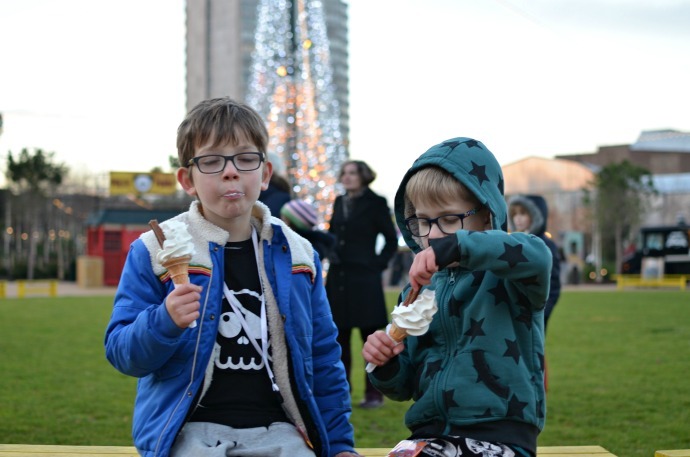 The boys were each given a book as a gift but they are a little old for them at the moment - we would love to see books aimed more at younger readers in the future. I was nervous about taking the boys ice skating as it doesn't come naturally to me (I like to hold on to a wall the whole time) and they have never been before. We found the set up was brilliant though and when we turned up for our booked slot there was no queue for boots and the rink was not too crowded. You can pre-book aids and there were two choices, a standing penguin that the children can hold on to if they want to skate independently, and a seal that the children can sit on to be pushed around. 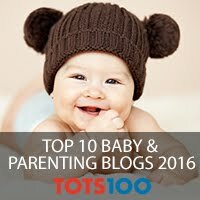 Archie was happiest sat down and loved it as I raced around with him (I was happiest pushing him as it gave me something to hold on to). Dylan tried both and really enjoyed giving skating a go with the penguin. 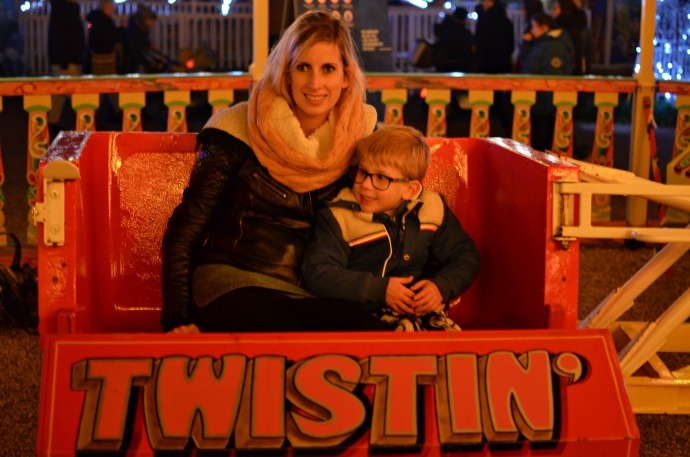 The ice skating was definitely a highlight for all four of us and I would highly recommend booking a slot if you are visiting for the frosted fairground. The park was quiet in the day, we didn't queue for a single ride and it was so much fun, but the parK really comes alive when it gets dark. 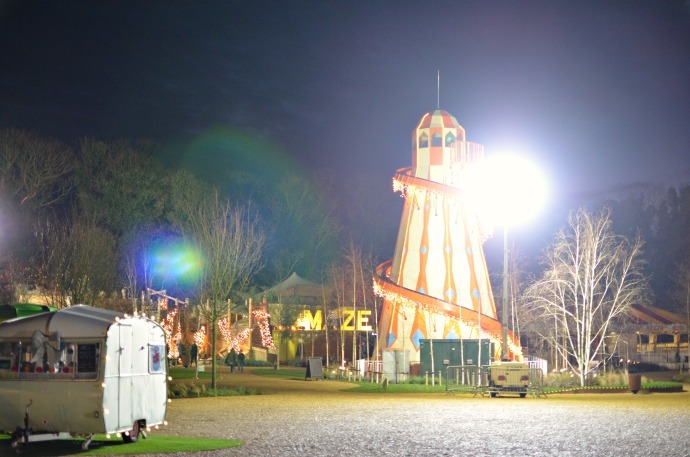 The lit up trees dotted around the park, the dancing lights on the big wheel and the brightness of the fairground were irresistable and I would really recommend staying for at least part of the evening. 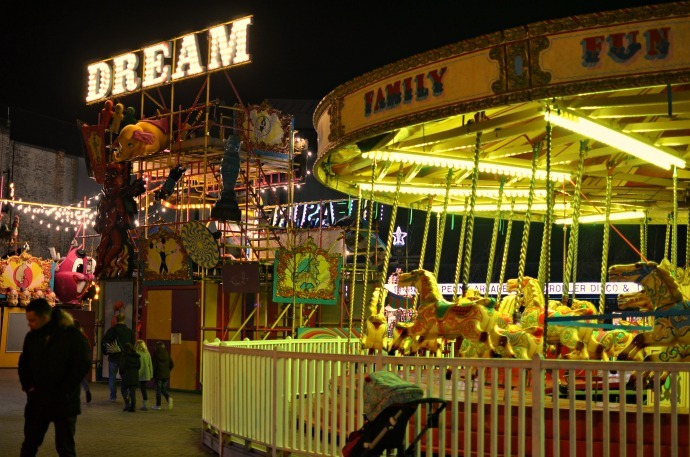 Dreamland is situated less than 5 minutes walk from Margate train station and there are direct links from St Pancras and Victoria station in London. There is so much to do locally with a brilliant beach opposite the entrance to Dreamland, the Turner art gallery and a row of arcades full of 2p machines. Inside the Dreamland Complex there is a fantastic soft play/imaginative play centre called Octopus Gardens as well as a roller disco. We had a brilliant day out and all left with rosy cheeks and big smiles. 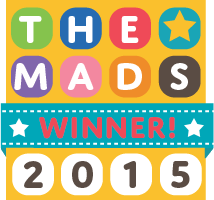 Thank you to Dreamland for our tickets for this fun day out! 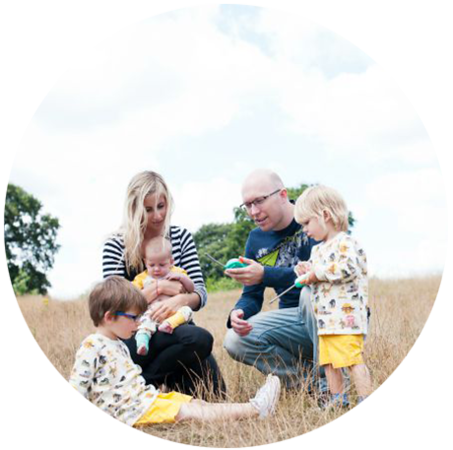 This looks like a lovely day out, they don't seem to have missed a trick! The fact that there were no queues during the day would sell it for me, there is nothing worse than having to wait forever! This article important and really good the for me is.Keep it up and thanks to the writer.Amazing write-up,Great article.